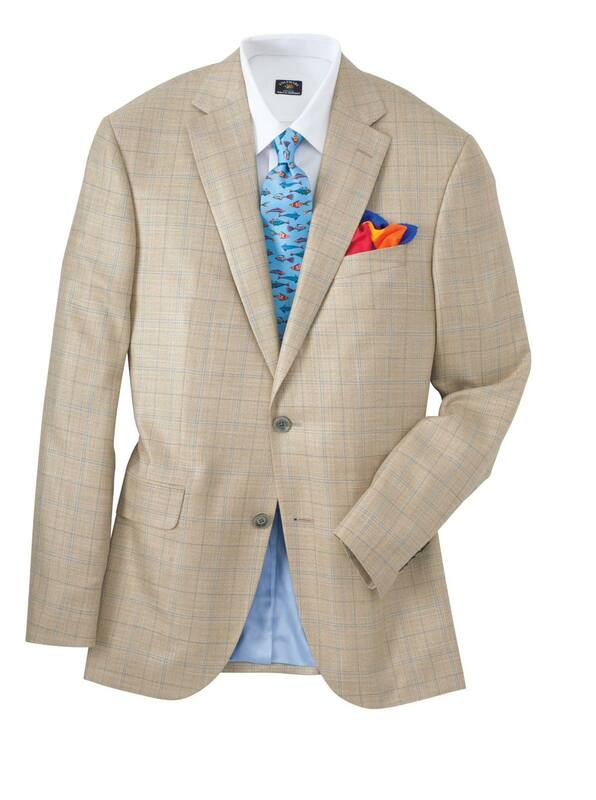 Our Thomas Windowpane Bamboo Sport Jacket comfortable, exceedingly handsome in a lightly textured, muted blue windowpane on tan. Tailored in Canada of lightweight bamboo viscose that resists wrinkling, yet breathes like cotton. Our two-button, soft shoulder model with full lining, side vents.